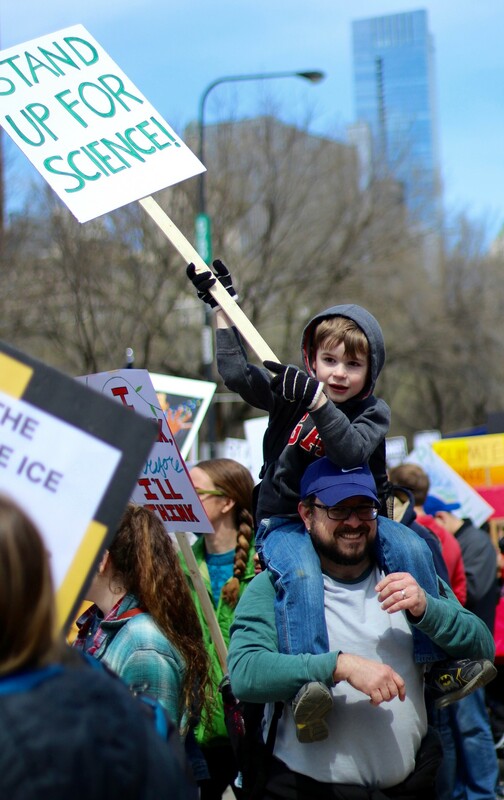 An estimated 50,000 people gathered in downtown Chicago Saturday for a march and science expo, one of numerous “March for Science” events worldwide set to coincide with Earth Day. 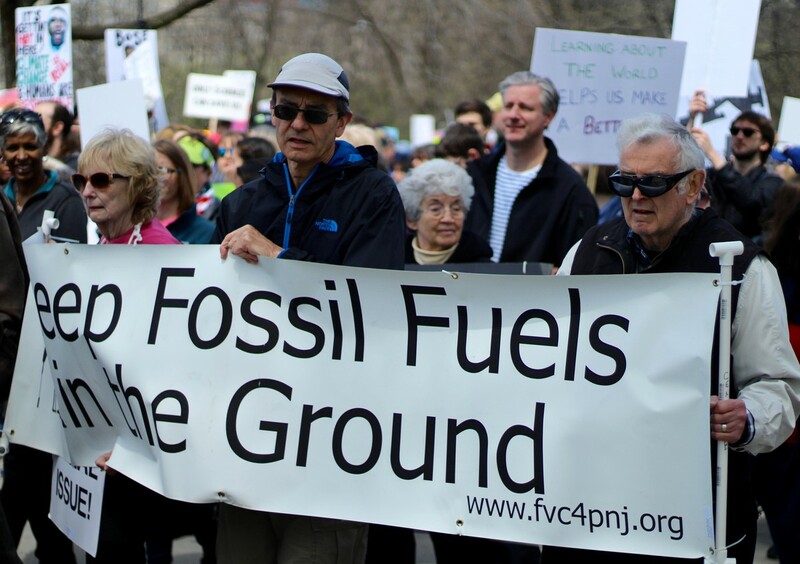 Marchers showed support for science-based political policy, action on global warming, and funding for clinical trials. Rallies and events were also held in Washington, D.C., Los Angeles, Berlin, and other cities around the world. 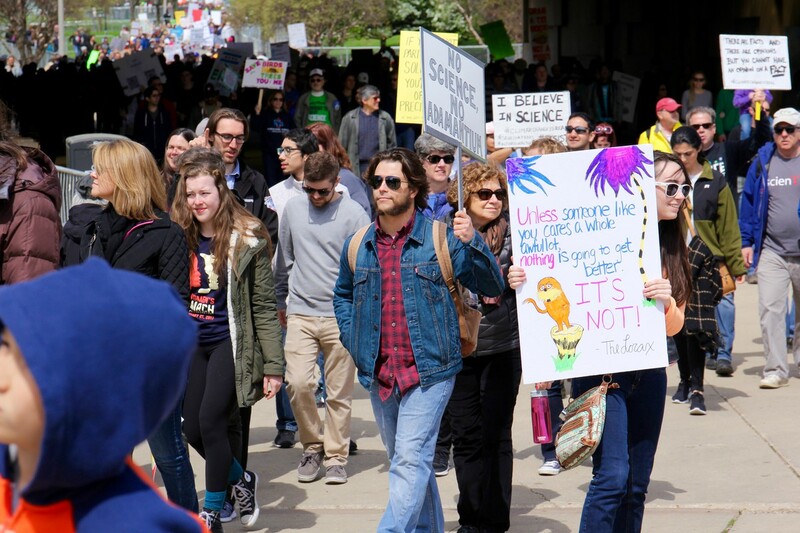 Once they reached the grounds of the Field Museum, many of the marchers stayed to visit tables hosted by different science-oriented groups, including the Bulletin of the Atomic Scientists and the UChicago branch of the Society for Advancement of Chicanos/Hispanics and Native Americans in Science (SACNAS). 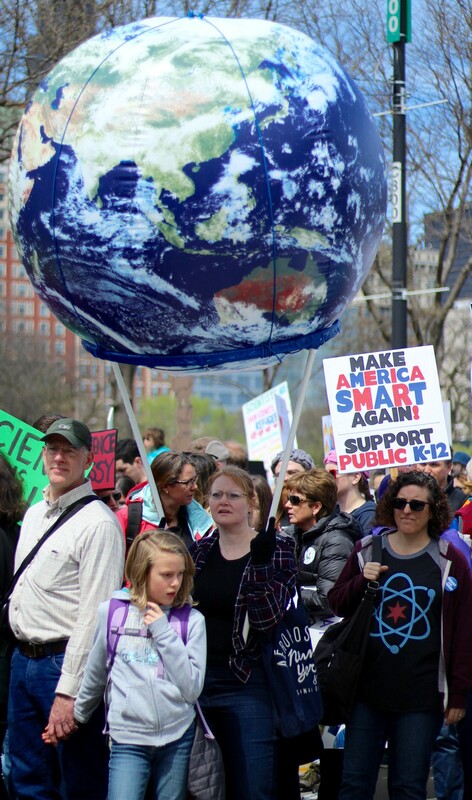 The chief March for Science organization, which helped organize the Chicago rally, is following it with a “week of action” until April 29, with each day of the week focusing on a different type of scientific activism. The theme for Tuesday is “Science Empowers,” and features initiatives to register new voters and build support for carbon footprint–reducing projects. At the SACNAS table, first-year Christian Porras and Ph.D. student Cody Hernandez, two of the UChicago branch’s leaders, said they were using the expo to promote their events and get members of underrepresented groups interested in the University’s science programs. “The point of the organization is to establish a community for underrepresented minorities in science to have a space to connect, network, and develop their skills,” Porras said.